The Canalta DBB Orifice Fitting brings the unmatched safety of double block and bleed functionality to the already exceptional quality and performance of the Canalta lineup of orifice fittings. 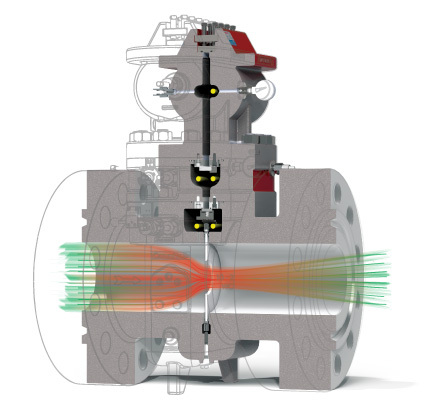 Two valves separate the operator from the flow line – no need to block in the meter run with multiple ball valves. 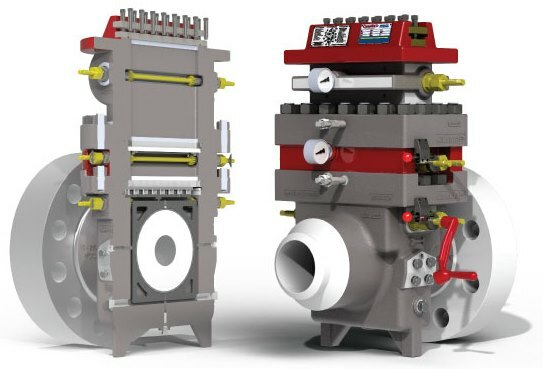 With separate equalization and venting for the upper and middle chambers, toxic or high pressure emissions through the top, putting personnel in danger, are virtually impossible in the rare event of lower valve failure. Designed after HSE HSG 253 Cat 2 Isolation, and built to meet or exceed ASME and ANSI specifications, as well as to comply with the latest editions of AGA-3 / API 14.3 or ISO 5167, the Canalta DBB Orifice Fitting provides accurate flow metering over a long service life and superior protection from high pressures and toxic flow media. Retrofitting Orifice Meter Installations provides added safety without the added cost of full equipment replacement. The DBB’s middle section can be installed on any existing Canalta Dual Chamber Orifice Fitting, or custom fabricated for any Daniel® Senior® Orifice Fitting, bringing double block and bleed functionality to orifice meters already in place. Pressure Gauges on the upper and middle chambers help the operator assess equipment status. Local pressure readout can indicate valve failure, vent blockages and other dangerous system malfunctions. For added protection, Canalta Gauge Pro blowout preventers are installed between each of the gauges and fitting body. 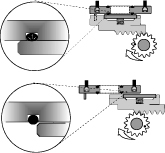 Automatic Valve Latches can be fitting to one or both of the valve operating shafts. 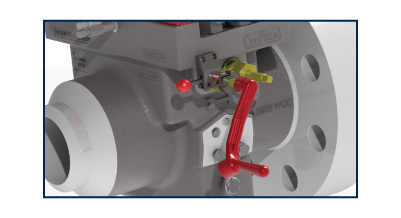 Requiring a manual reset before the valve may be opened, this security accessory provides an added opportunity for safety assessment and operator awareness. The ability to padlock the latch also brings additional security to fiscal flow measurement applications. The Soft Seat Valve Seal is available for all DBB Orifice Fitting models. Effective in all scenarios, this unique design enables a bubble-tight seal between the three chambers without the need for frequent valve lubrication. 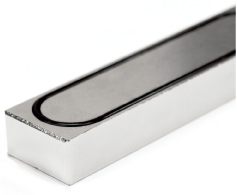 The specially machined seal channel helps prevent O-ring dislocation, and the O-ring seals incorporated are available in a wide variety of compositions. The DBB Orifice Fitting is also effective with standard grease seals. HNBR O-ring Seals on the body sections and seal bar come standard with all Canalta DBB Orifice Fittings. This feature eliminates nuisance gasket maintenance and clamping bar screw breakage, while providing superior sealing capability. The O-rings incorporated are standard shelf sizes and can be supplied in a wide variety of compositions. Gaskets are also available and can be used when preferred or required.